Toronto’s average price increases 11.3 percent to $432,679. Canadian home-price increases moderated in the first quarter, but remained solid due to a strong economy, high immigration levels, and relatively low interest rates, according to a report released by Royal LePage Real Estate Services. Nationally, the average price of a detached bungalow climbed 8.3 percent to $336,834 in the first three months of 2008, according to their latest House Price Survey. The price of a standard two-storey homes rose 7.1 percent year-over-year to $400,647, on average, and a standard condominium increased 6.9 percent to $240,423. While those increases were down from the double-digit rises of previous quarters, they still stand in stark contrast to the hobbled U.S. housing market. When it comes to selling your home in a competitive Real Estate market Realtors will tell you “Nothing sells quicker and for more money than a clean uncluttered home free from junk that is ready to move into”. You don’t get a second chance to make a good first impression. 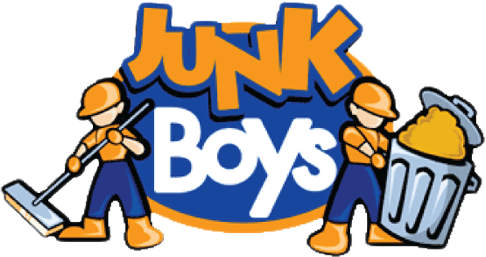 Why not have JUNK BOYS be your junk removal choice in de-clutter your home before putting it up for sale, in order to gain every advantage when it comes to selling and obtaining the highest sale price.